Ben is The House Call Vet’s head veterinarian. 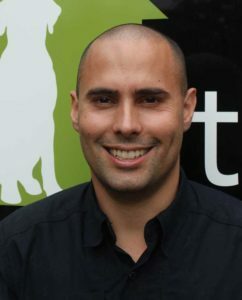 Having decided at the age of five that he wanted to be a vet, Ben graduated from the University of Queensland in 2005 with first class honours. After initially working in general practice, Ben elected to pursue his interest in small animal medicine by undertaking 2 consecutive internships (1 year of emergency medicine and 1 year of internal medicine) at a leading specialist centre in Brisbane’s northern suburbs. In 2009, Ben attained Membership of the Australian and New Zealand College of Veterinary Scientists, after successfully completing a series of examinations in small animal internal medicine. Ben worked at the University of Queensland Teaching Hospital for several years prior to its closure. Since then, Ben has been working full time with The House Call Vet. Ben lives in Kenmore with his wife and young son. Together they have several pets including dogs, cats, fish and chickens.